A shop approached me to work on the illustration for her workshop invite. 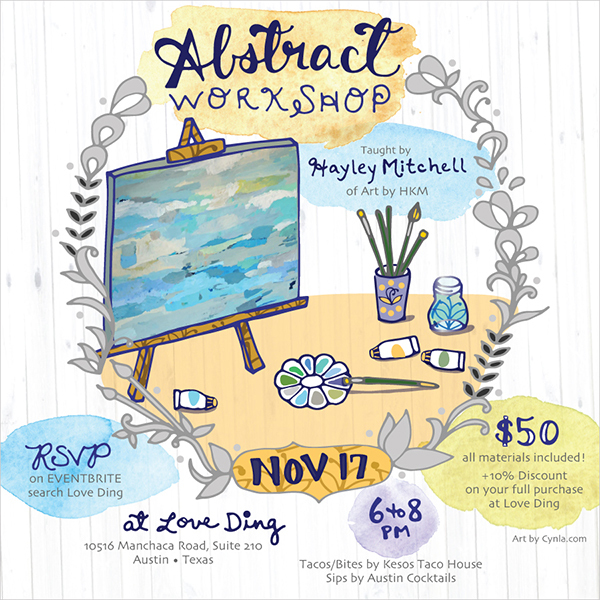 This one is for an Abstract Painting workshop – it sounds really great! 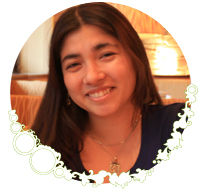 If you’re in the Austin TX area, check out her lovely shop Love Ding and amazing events. You can buy tickets for this event here on eventbrite. The painting was done by the workshop instructor – Hayley Mitchell, and I created the scene around it. 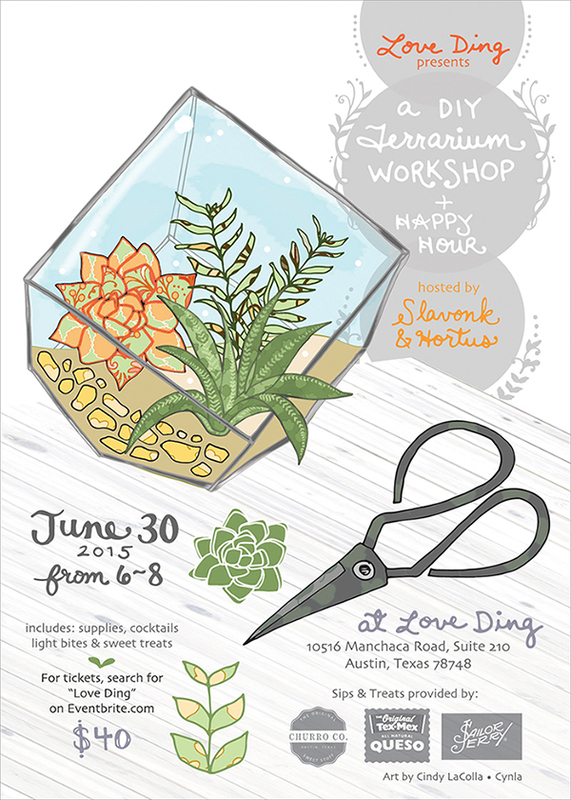 Here is the first commission invite I did for Love Ding’s Terrarium workshop. So fun to do as well. 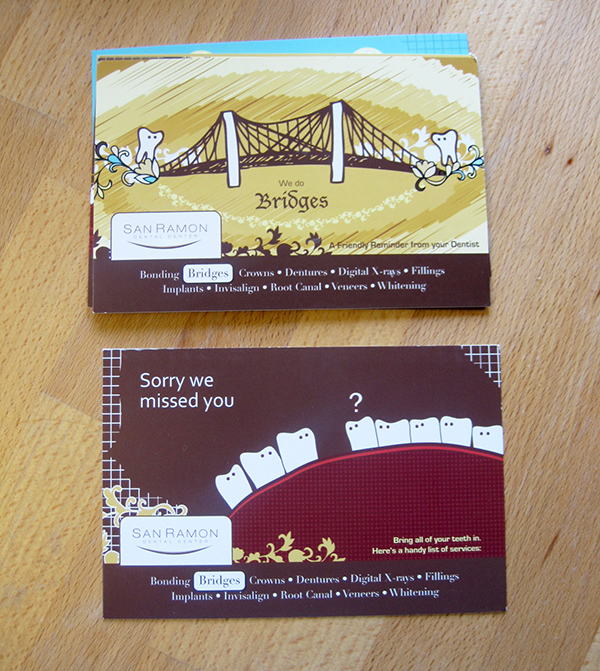 And we did greeting cards for the participants for this one! I hope to do more custom illustration projects like this. If you have a project in mind, let me know. 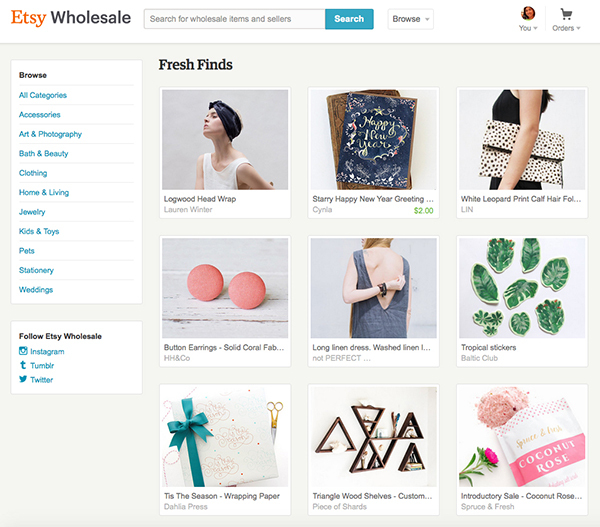 Speaking of wholesale, I just heard that one of my shops will be closing. It really is a gorgeous shop and I’m really sad to see it go. 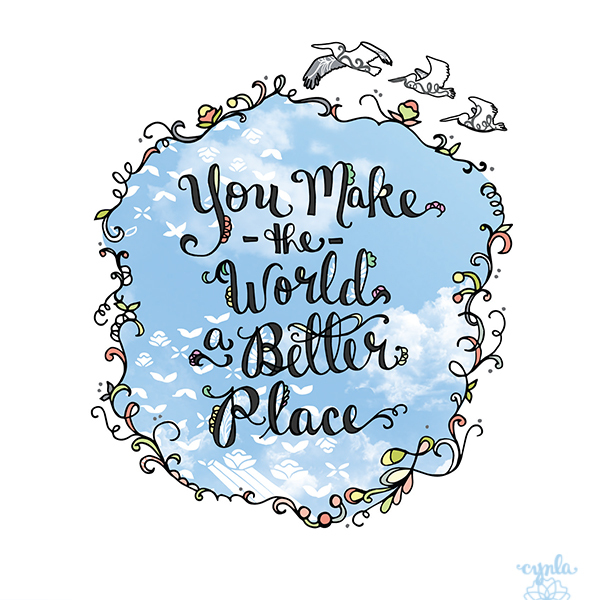 I’m sharing this because of my hope that more people will support local stores, artists, handmade, small businesses and products that are eco-friendly and support a greener, happier world. I did an interview with the Etsy NY team and it’s now up on their blog. Head over there to read a little more about my inspiration and thoughts about my greeting card business and to enter a huge giveaway! 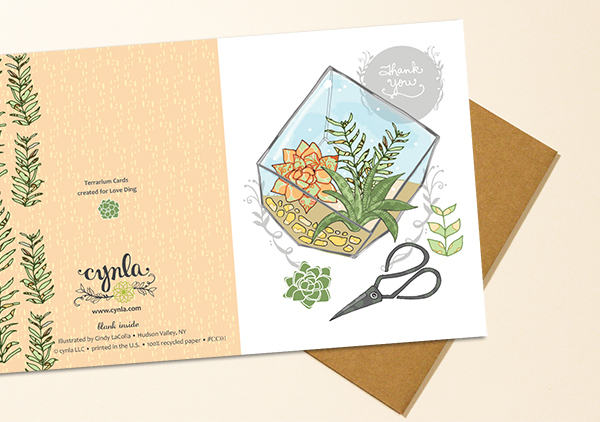 I’m raffling off $100 of Cynla paper goods. Happy September! Send me some good moving vibes! Or better yet, take advantage of my moving sale. Had your eye on my new Turtle Print? 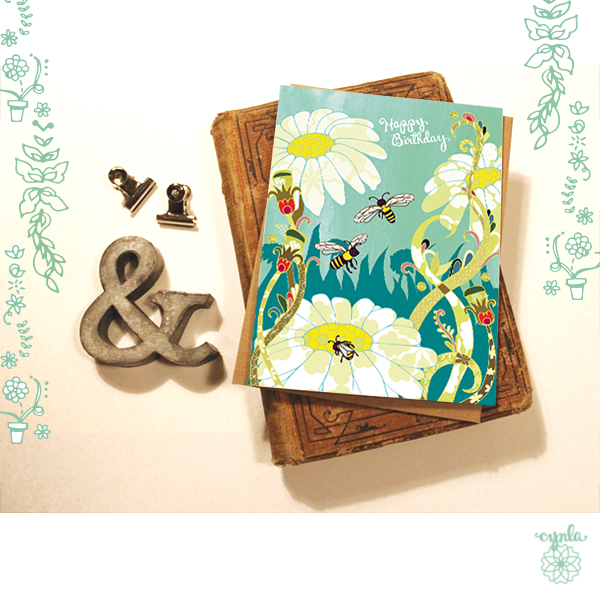 or fireflies greeting card? Use code HAPPYMOVINGDAY for a crazy 20% off! Only in my etsy shop – www.cynla.etsy.com – through Sunday (the 23rd). That’s 6 days including today. I know that because that’s how much time I have left to PACK! Wish me luck! P.S. 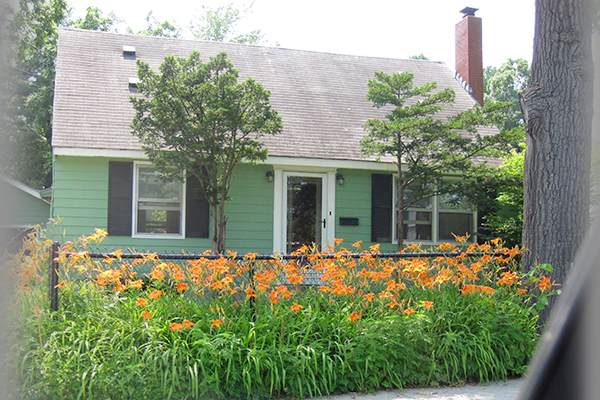 This isn’t our new house, but a house that reminded me of my card. They’re just missing the cat in the window. April is National Letter Writing Month and as a greeting card designer, I’ve decided to really get involved (outside of making cards). 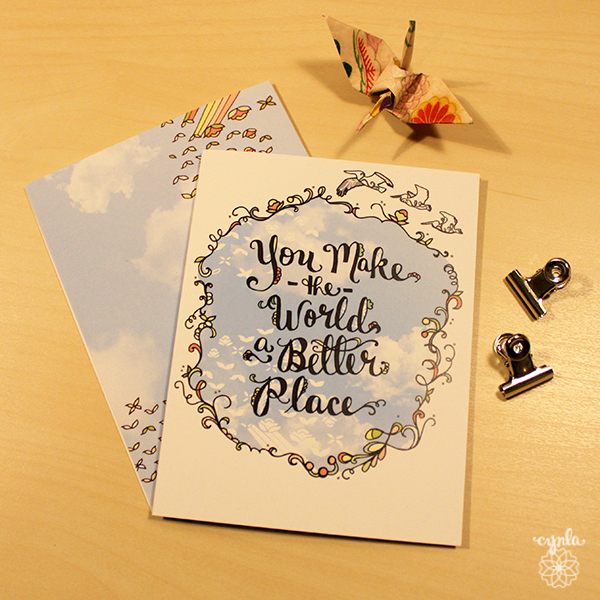 The lovely people at Egg Press and Hello!Lucky started a letter writing campaign called write_on. They are challenging the world to write 30 letters in 30 days in April. You can get a free kit here. Join me and thousands of others in keeping the art of letter writing current, beautiful, alive and happy. I particularly like their list of writing organizations, 30 reasons to write a letter, and their gorgeous blog filled with ways to dress up an envelope and tips on writing your letters. 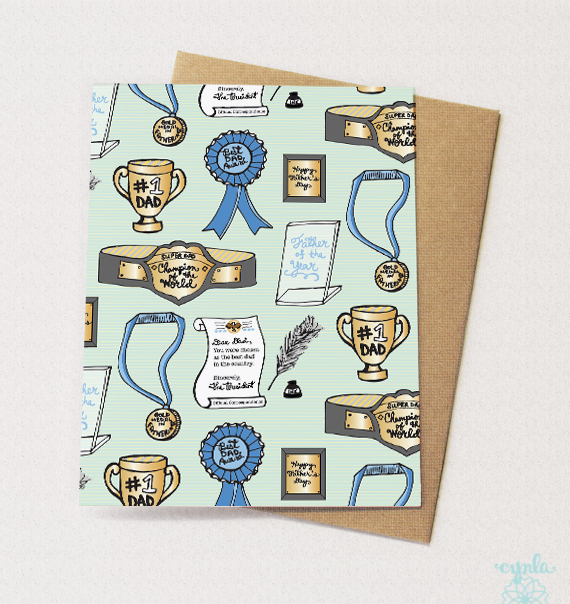 To help with your letter writing, I’m offering a coupon code for my shop for my followers. Follow my blog here, or instagram here, and use code WRITEON for 10% off and a free surprise card with your order. I promise it’ll be perfect for your letter writing campaign! 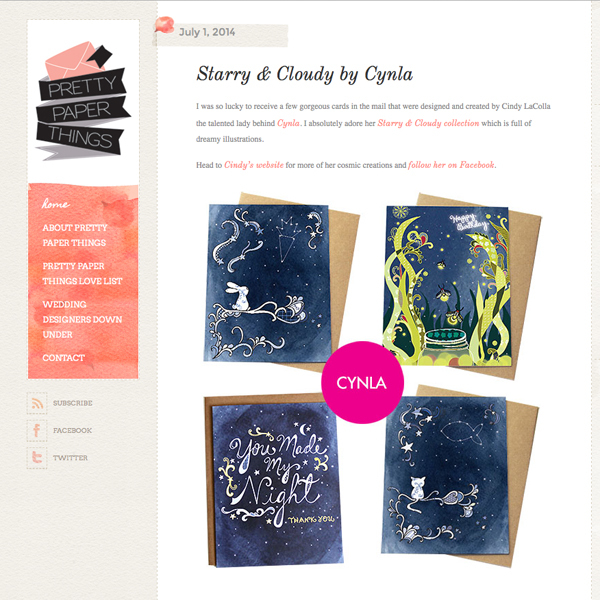 Follow me on instagram @cynlastudio to see all of my letter writing that I’ll be sharing. I spent a WHOLE day drawing yesterday. I think the last time I did that was January 2014 when I was attempting to draw 30 pieces (one a day) and had to draw a whole bunch of them in early February to catch up… Anyways, I feel like it was a mini vacation. I took breaks to eat, get more coffee, press continue on netflix or pandora, and even felt motivated to take a walk in the cold. I recommend a day of drawing and being creative to anyone. 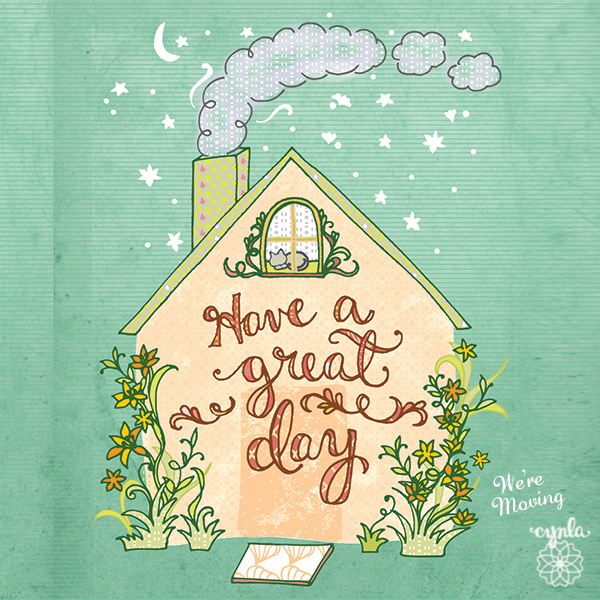 Today, I have to catch up on lots – folding, sleeving and posting my Spring cards to my shop, getting together a new wholesale order!, preparing for my next catalog release in May, and going over my fair schedule for the year. It’s a busy day. In case you haven’t visited my page lately, my retailer list is growing! It’s such an accomplishment for me and so exciting. See if there’s a shop near you, support a business that supports artists, and say hi to my cards! P.S. Do you follow me on instagram? It’s where I keep most up-to-date with new offerings and shots from works in progress. It’ll be available soon as part of my Spring release. Available now wholesale to shops. If you’re a retailer, email me for a catalog. 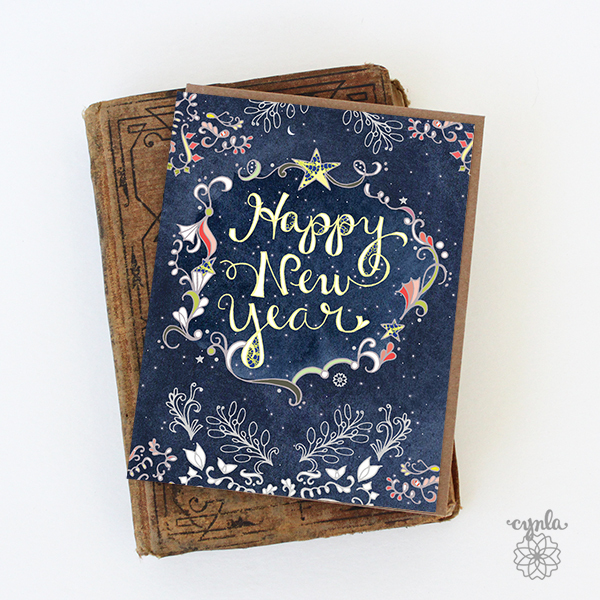 My top sellers of 2014 are my Fireflies Card and Brighter Place. I really enjoyed making these two designs. When I first moved out of the city, I couldn’t get over how many fireflies there were. They really are a magical thing — Seeing fireflies (and stars) is one of those things that never gets old for me. 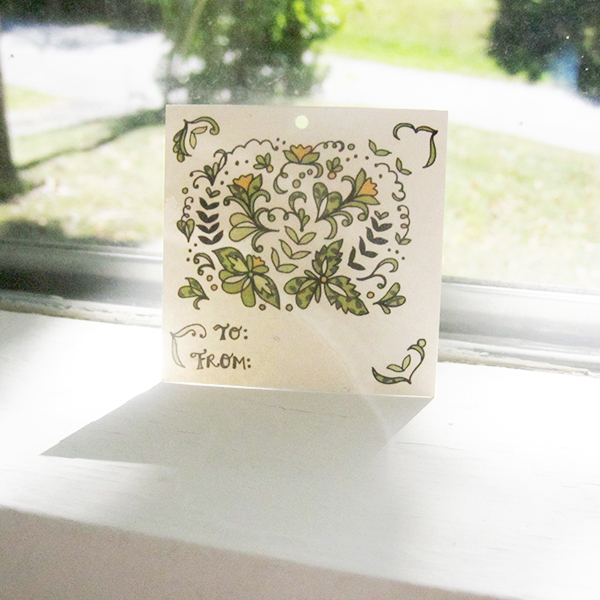 People also love this Brighter Place Card. It makes me happy, it makes me happy to give to people, and I hope it makes your day brighter as well. I haven’t had much time to think about 2014.. but this year, I want to be less rushed. This may mean being better prepared, making time for things that matter, and scheduling more. When I lived in NYC, I read everyday on the train – novels mostly, but I also had time to read business and creative books. Time on the train locked me in a space with no internet, and my thoughts. I had time to plan my days and catch up on the world. I want to find this time again – “lock” myself on the porch with a good book, my pens and sketchbook, and a cup of coffee. Traveling also gives me the time to do this. Life seems to slow down and I’m able to concentrate on appreciating things. My pocket notebook always fills up on vacations. So cheers to 2015! 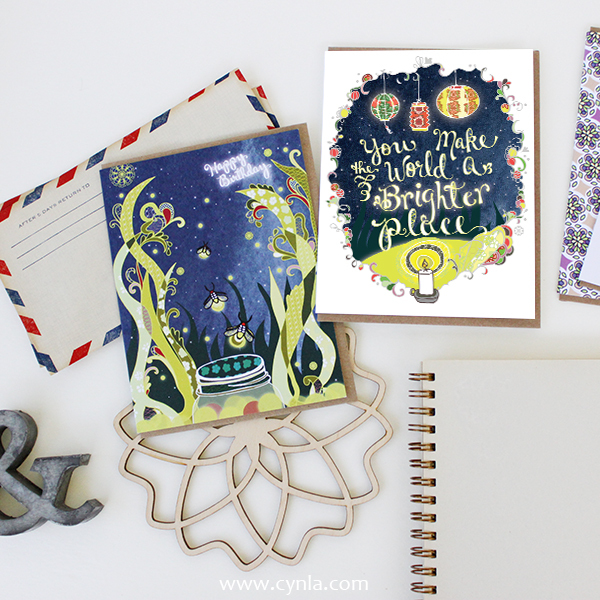 There will be a long-awaited Cynla newsletter (signup here), a faster, dreamier Cynla website, and lots of new greeting cards! 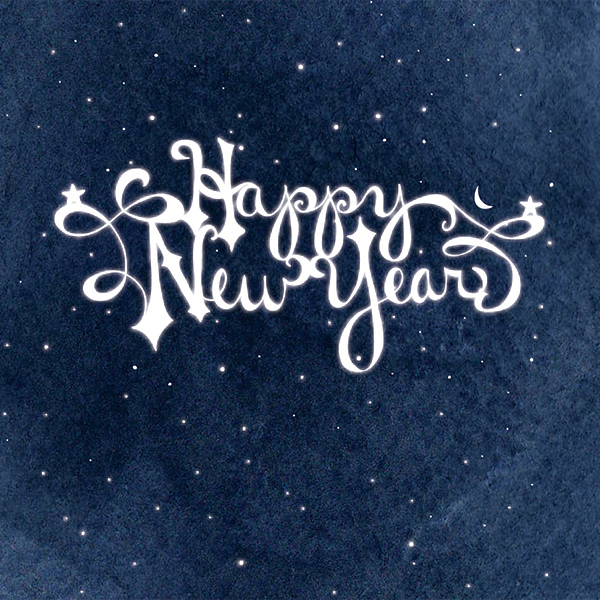 Oh and one more resolution – I will be sending out a TON of birthday cards. No more missing birthdays. 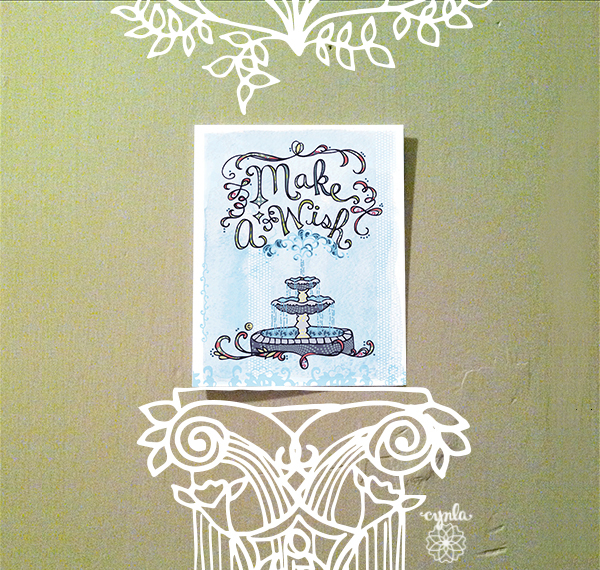 I have no excuses with a studio full of greeting cards, right? I’m so thrilled to announce that my cards will be at the Museum of Fine Arts in Boston! I’ll have to go visit them soon. I went to college in Boston and this is truly a dream come true for me. Plan a museum trip, stop by the gift shop on your way out and look for Cynla cards! Perfect way to spend the holiday. We’re Hullabaloo-ing all weekend with cards, gifts, DJ, a holiday bear and a DIY craft station. Holiday fair with the EtsyNY team. 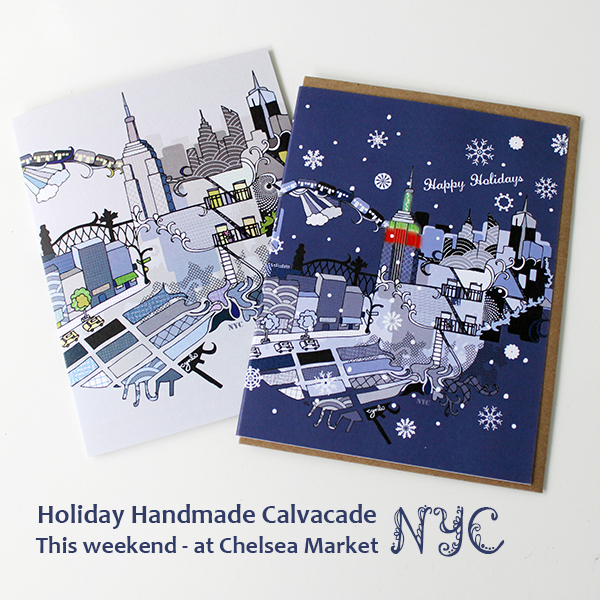 Come discover handmade crafts from local NY vendors just in time for the holidays. If you’re not close by, you can visit my shop, open 24 hours! 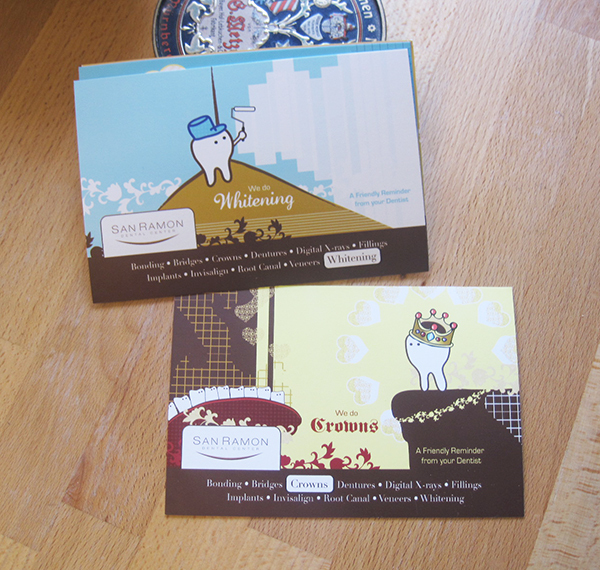 Some dental postcards I created for San Ramon Dental. My favorite is the whitening one. 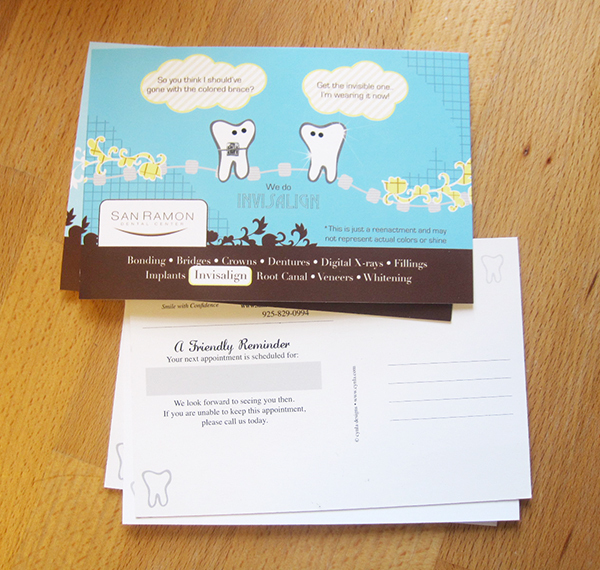 I crack myself up everytime I look at this invisalign postcard – yes that is a tooth guy with a brace attached to it.. with his friend trying to convince him to get the invisible braces – a no-brainer. I loved creating these. 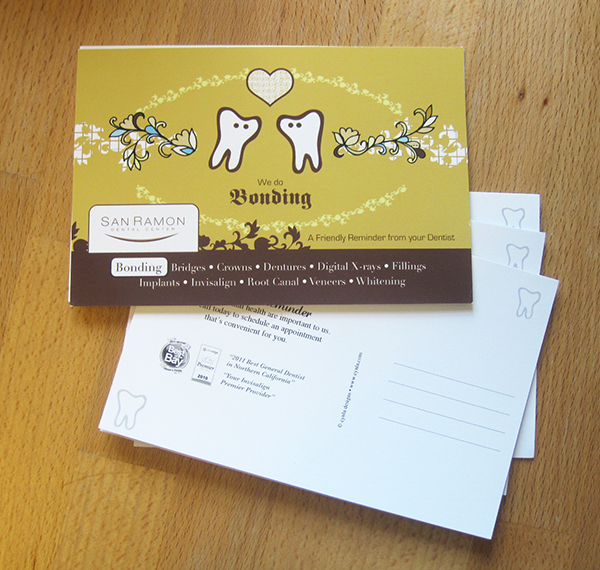 If you’re near San Ramon, CA, take a visit to San Ramon Dental. 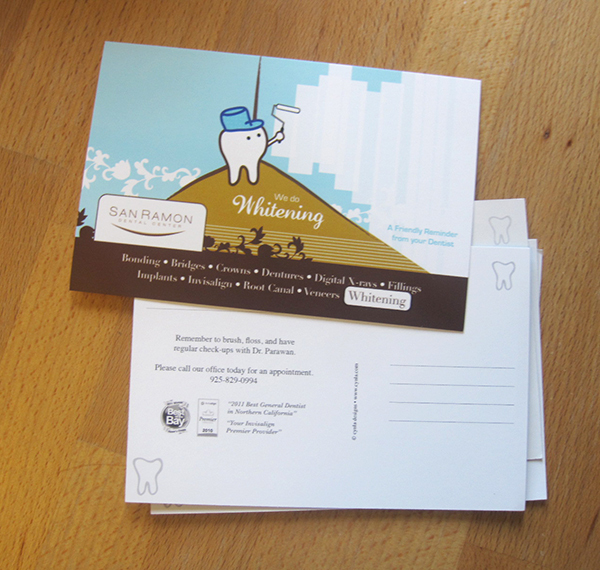 They’re amazing to work with, my close friends and by the look of the reviews, amazing dentists. 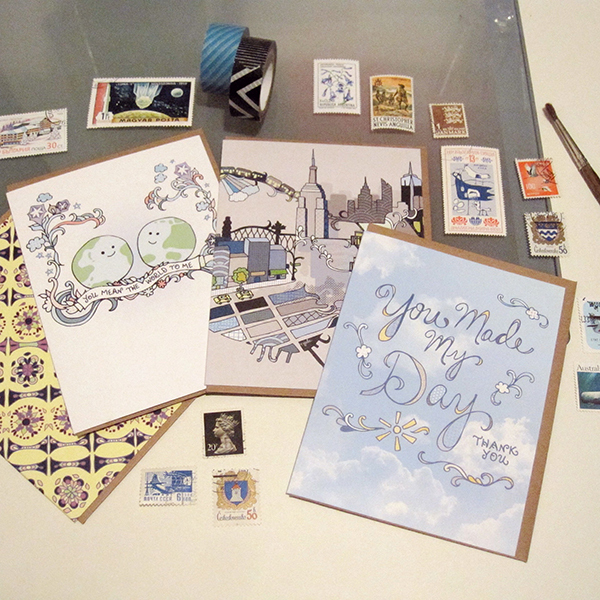 And then you’ll start getting this lovely mail I designed! I accomplished a very big goal last week. I finally submitted my first project to the Global Talent Search by the amazing Lilla Rogers Studio. 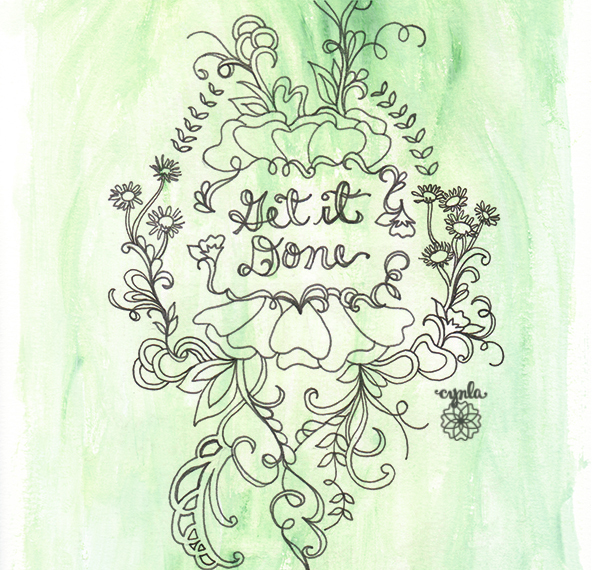 The theme was “Little Terrarium” and I had to create a design based on the creative brief. (The above sketch is not it – I can’t share the final piece just yet!) It was a little intimidating trying to make something you know will be judged by Lilla Rogers herself and seen by great names in the industry… I had two weeks to do research, plan my piece, stress out, rework, and then finish a design that encompasses my strengths and really shows potential for the licensing world. It was a whirlwind of emotions, but finally finished something I was proud to push the submit button for. I even did some more painting. Now, using this creative energy to finish up some other projects.. Have a great week. Often I let my overwhelming to do list drive me to do a little bit of each thing and not really get anything done. I’m trying to turn a productive corner! I’d like to be more conscious of my time and not let the overwhelmed feeling slip in. Let’s be productive. 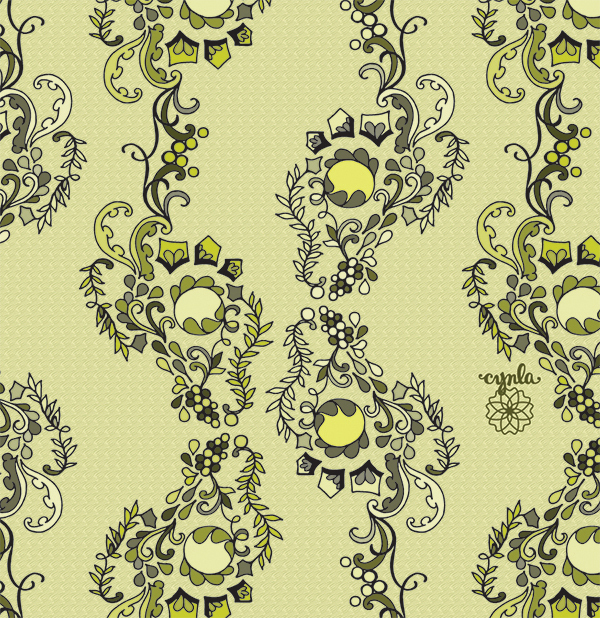 On that note, here’s a new pattern I did. It kind of reminds me of a river with leaves floating and water swirls rushing by. I woke up this morning, checked my email and my usual favorite paper blogs… and was so excited to find myself on Pretty Paper Things! 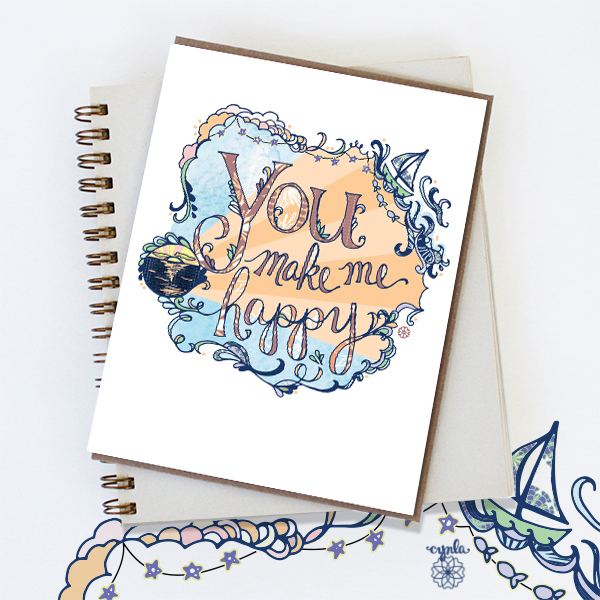 If you aren’t familiar with her blog, Krissy features the most drool-worthy paper products and design. I have to stop myself from buying everything on there. 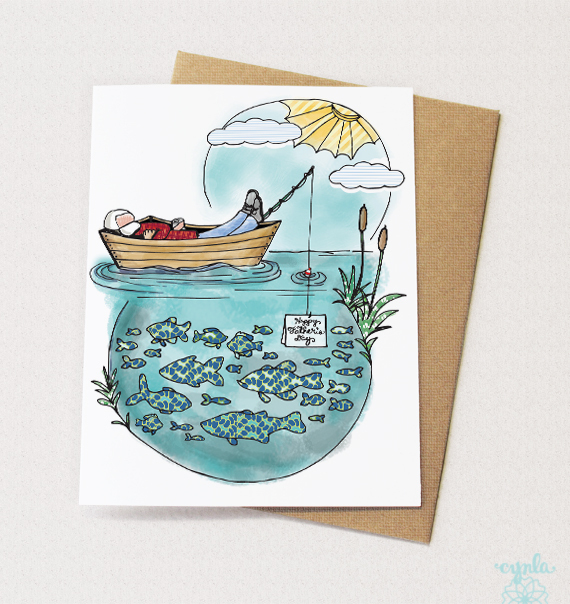 Head over there and see my cards on the site! yay! 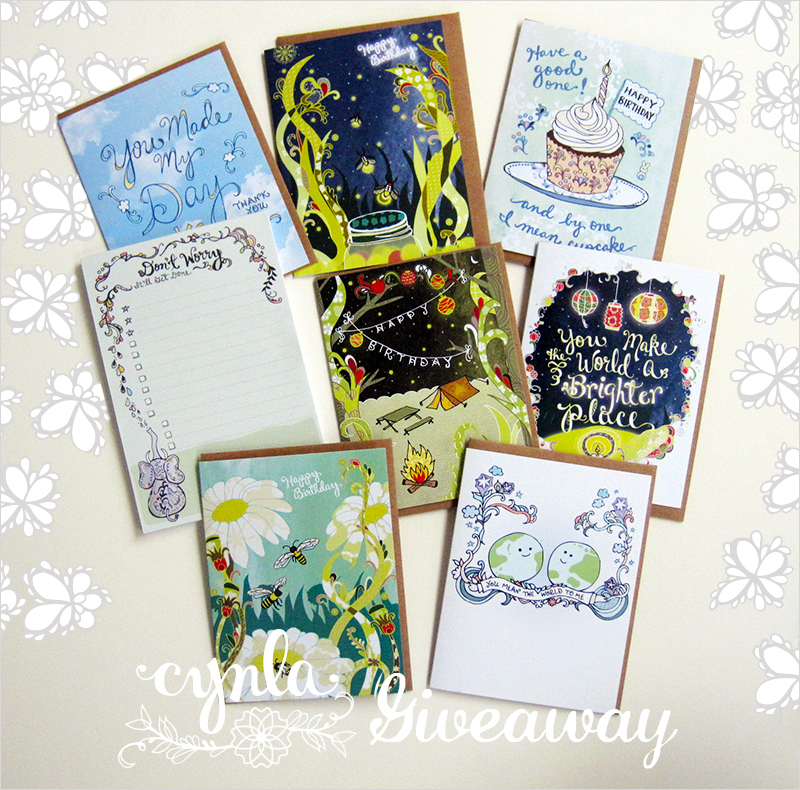 The lovely Jillian and Kylie over at 2 Hearts B 1 Designs has offered to host a giveaway of Cynla notepads! 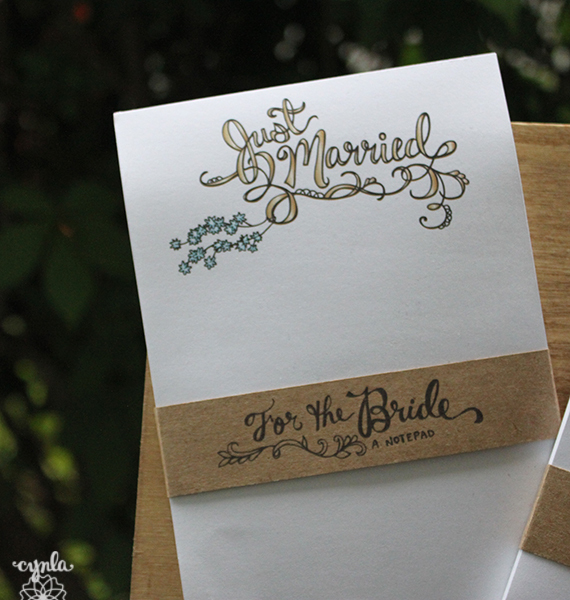 Head over to their inspiring wedding and invitation blog to enter to win one of my wedding notepads. I know brides have a long to do list! Most of my bridal to do’s were written on whatever was in my purse at the time. 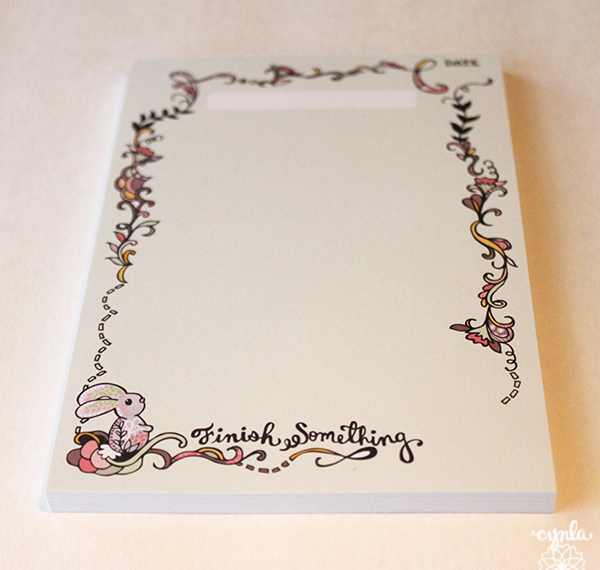 I wanted to create some wedding notepads that would make writing a to do list during this busy time a little more inviting. Even if you’re not getting married, these would make an unexpected, useful gift for a bride to be. Jillian and Kylie have really been great as we’ve been coordinating this giveaway. Head over here to show them some support! While you’re entering yourself to win, check out 2 Hearts B 1 Designs. 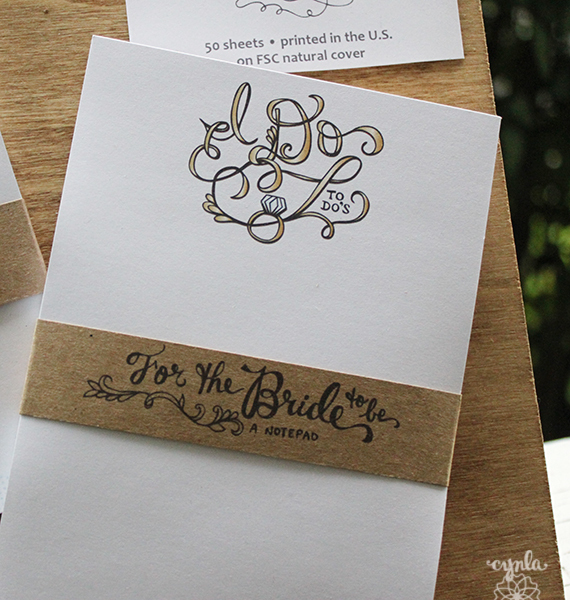 Jillian has some amazing calligraphy skills, and specializes in wedding details such as dessert table accents and even makes wedding scrapbooks! To enter, visit their blog post and follow the instructions. You will be asked to follow us on facebook and instagram. If you already follow me, this will be easy! 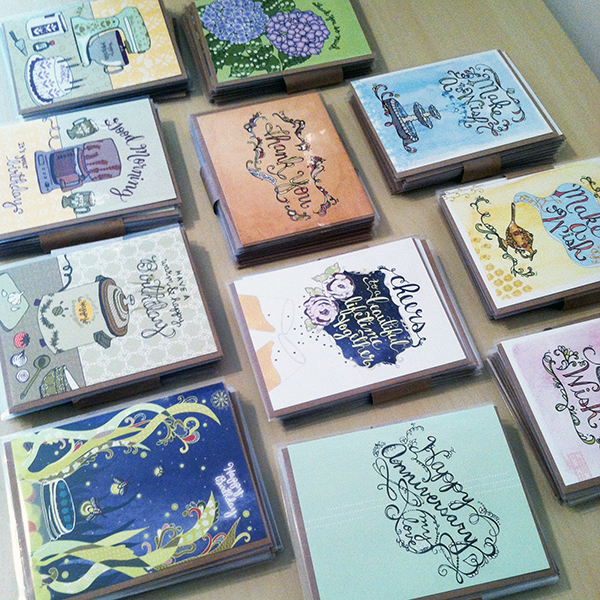 You can also head over here and see the notepads in my shop. Thanks and good luck! 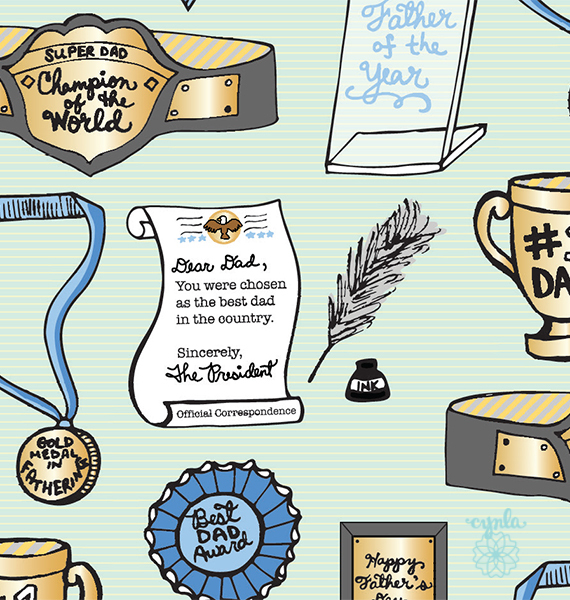 This is the first year I’m offering Father’s Day cards. This top image is my dad. He passed away in 1996.. which it’s really hard to believe it’s been so many years without him. He used to take us fishing a lot. It was always beautiful and calm – my memories of going fishing – catching sunnies on the lake. A quick photo from Day 1 of the National Stationery Show. 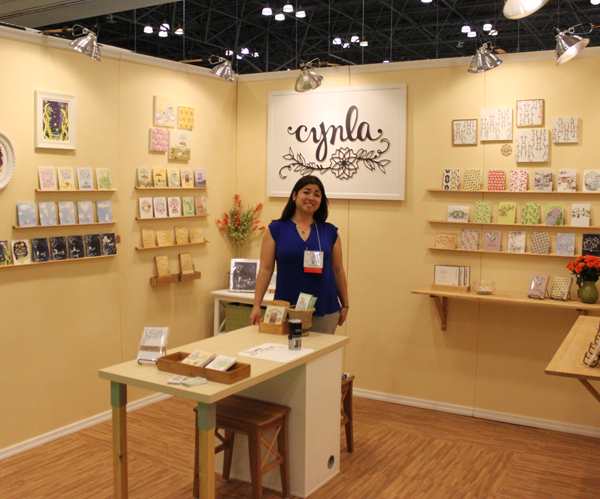 My booth is all set up with my yellow walls, new logo and lots of greeting cards and paper goods. Met a lot of great people and shop owners so far! If you’re heading to the Javits this week, stop by and say hi at NSS Booth #2154.